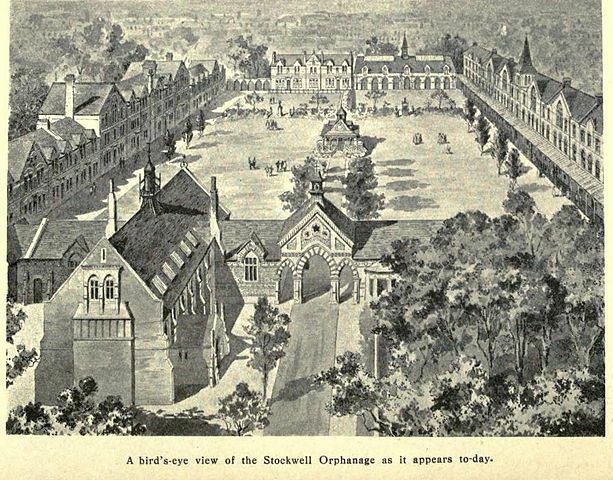 The Stockwell Orphanage for boys was founded by Charles Haddon Spurgeon, the pastor of the Metropolitan Tabernacle (Elephant and Castle). 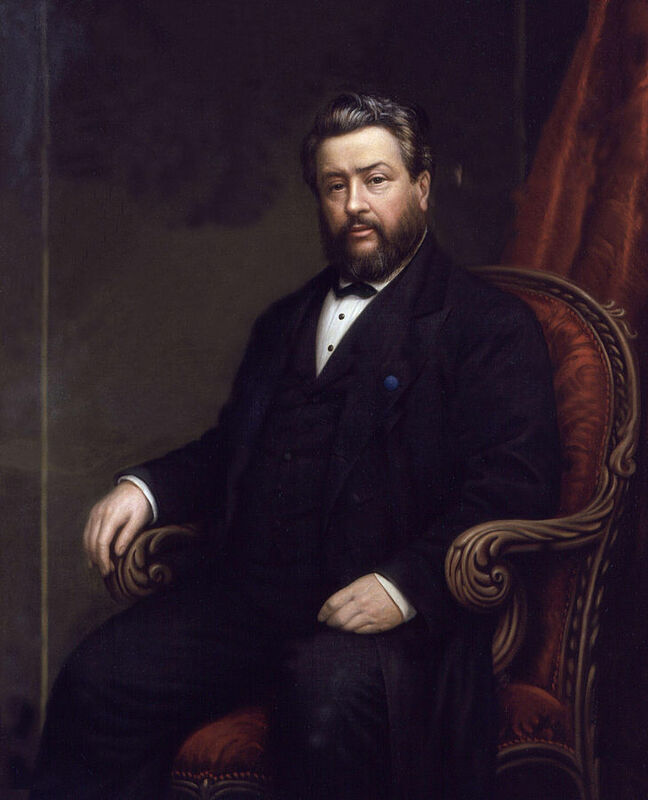 His church had already supported a number of alms houses and following a prayer meeting at which Spurgeon had stressed the need for an orphanage and an article in The Sword and Trowel in 1866, a Mrs. Hillyard wrote to Spurgeon offering him £20,000 on condition that he establish an orphanage for boys. A large plot on a site now covered by Stockwell Park High School and part of the Stockwell Park Estate was secured and work on the first building commenced. Money soon poured in and other houses were built. One, the Silver Wedding House, was a gift from a woman who had received some money from her husband on her silver wedding anniversary. The Merchant’s House was the gift of a businessman. The Workmen’s House was the combined gift of the contractors and the artisans at work on the building, the former giving the materials, the latter the work. Unity House commemorated a saintly lady. 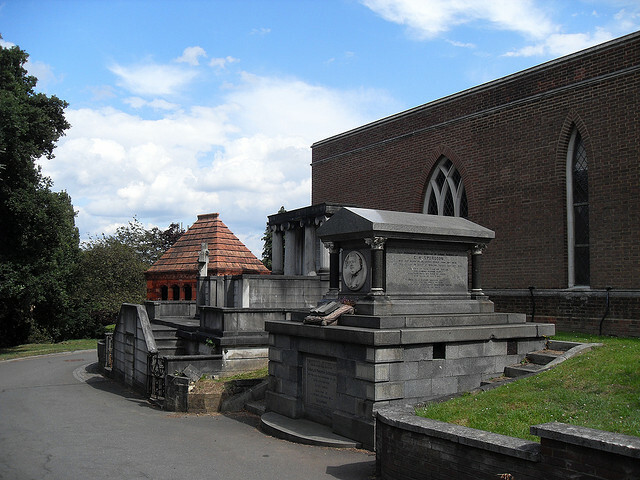 The Testimonial Houses were the gift of the Baptists of Great Britain. The Sunday School House came from the efforts of the Tabernacle Sunday School, and the College House from men educated in the college. The Orphanage, which was commenced in 1868 and opened on 9 September 1869, contained accommodation for 250 children, who were fed, clothed and taught; all at the cost of about £5,000 per annum. It was largely dependent on voluntary contributions for its support. The Orphanage received destitute fatherless boys, irrespective of religion, between the ages of six and ten. The care was based on the family model with the boys living in separate houses, under the care of matrons. In 1879 a girls’ wing of the orphanage was inaugurated, Mrs. Hillyard giving the first £50 and Mr. Spurgeon the second £50. The necessary funds were forthcoming and soon the quadrangle was completed, with infirmary, gymnasium and dining hall.